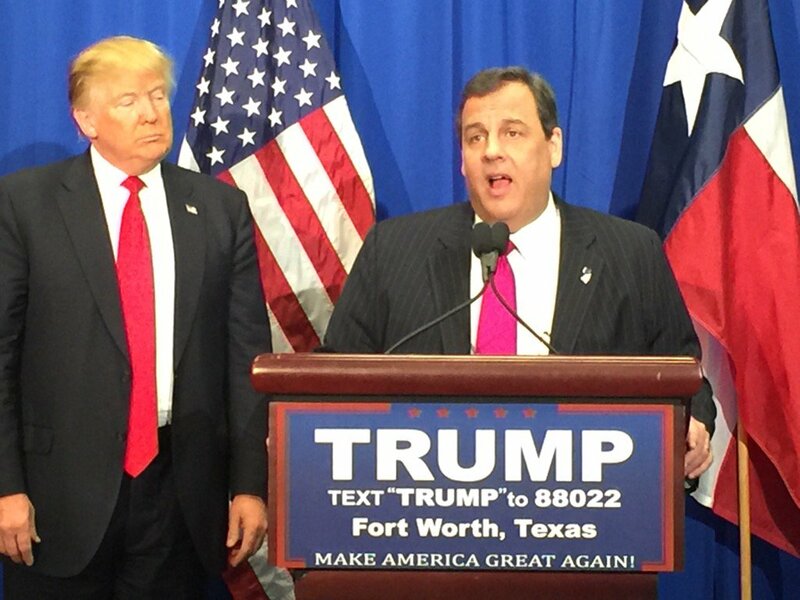 New Jersey Governor and former GOP candidate Chris Christie joined Donald Trump on-stage Friday in Fort Worth, Texas to officially endorse the real estate mogul for the Republican nomination for President. “The best person to beat Hillary Clinton is undoubtedly Donald Trump,” said Christie. The outspoken New Jersey Governor pieced together a competitive campaign for the nomination himself before dropping out two weeks ago. “He is rewriting the playboook for American politics,” Christie continued in Texas Friday. “No one is better prepared for the strong leadership america needs than Donald Trump.” Trump took to the podium to speak highly of Governor Christie as well, and extend his appreciation for the endorsement.New Jersey Gov. Chris Christie offered a surprise endorsement to Donald Trump, saying there is no one better prepared to lead the country in the Republican 2016 race. "I am proud to be here to endorse Donald Trump for president of the United States," the New Jersey Republican told reporters at a press conference in Texas. "The best person to beat Hillary Clinton on that stage last night is undoubtedly Donald Trump," Christie, who plans to appear at Trump's Oklahoma event Friday night, added. Trump and Christie appeared on stage together the day after a rough debate performance where the real estate mogul faced off against Sens. Marco Rubio and Ted Cruz. "Generally speaking I'm not big on endorsements," Trump said, adding, "This was an endorsement that really meant a lot."